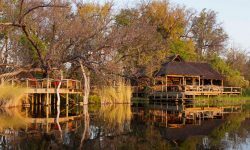 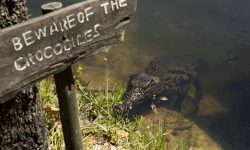 The prime location of Camp Xakanaxa (pronounced Ka-ka-na-ka) on the banks of the Khwai River on the Xakanaxa Lagoon, in the heart of the Moremi Game Reserve, makes it one of the very few safari camps that offers guests an authentic, year-round Okavango Delta land and water safari experience. 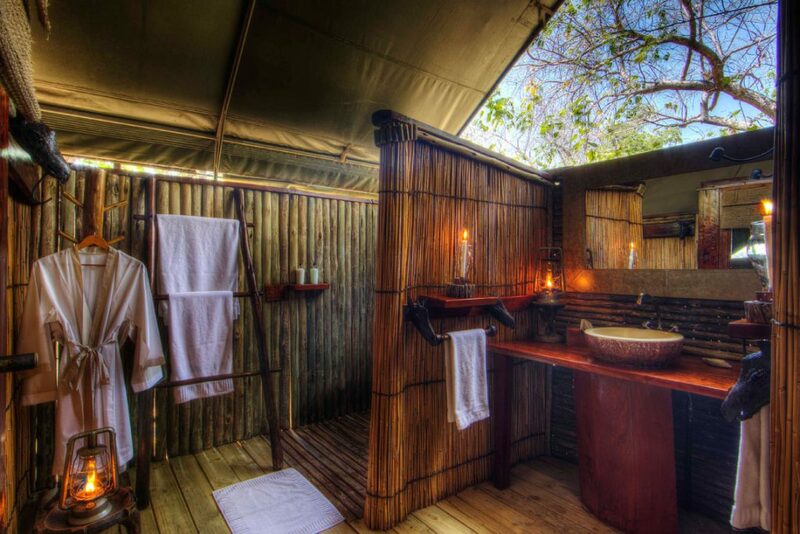 The camp accommodates 24 guests in twelve spacious all-canvas, classic Meru-style luxury safari tents each with en suite bathrooms. 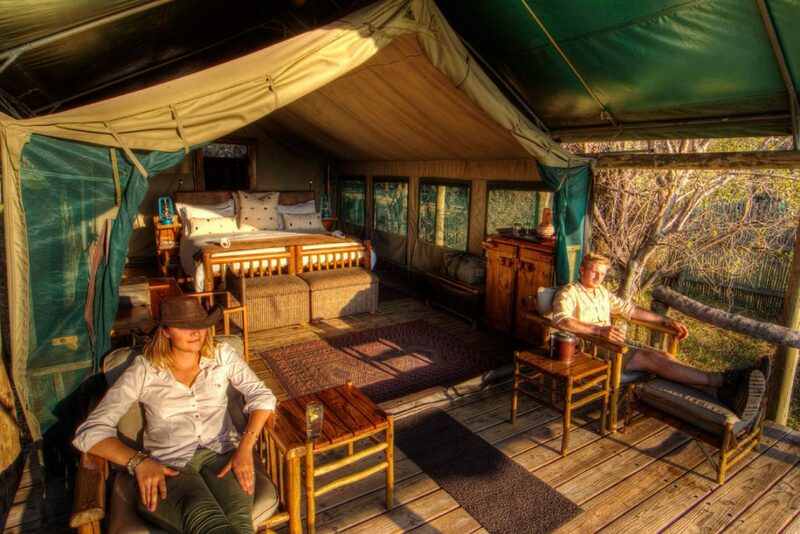 Every tent has a private viewing deck with comfortable loungers. 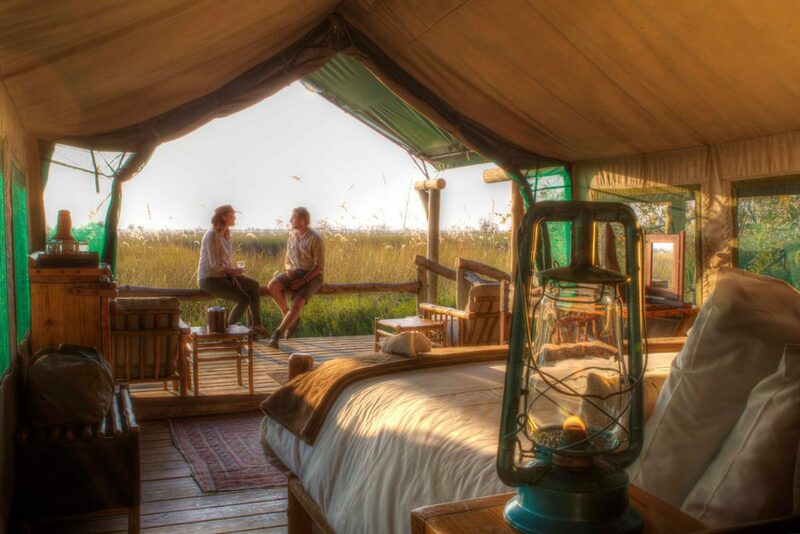 Camp Xakanaxa is one of the few camps in Botswana which still offers the essence of a classic tented camp. 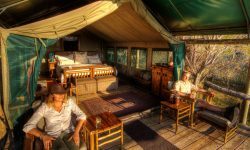 In camp, a relaxed and friendly atmosphere together with personalised and caring service evokes a feeling of coming home. 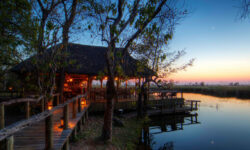 The main buildings extend over the Khwai River and are set on raised platforms to maximise the views over the surrounding lagoons and islands. 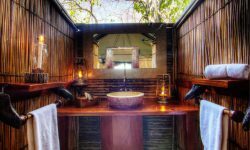 The elegant lounge and dining rooms, built of local timber, reed and thatch, feature a small library, expansive sundeck, plunge pool and sala with day bed. 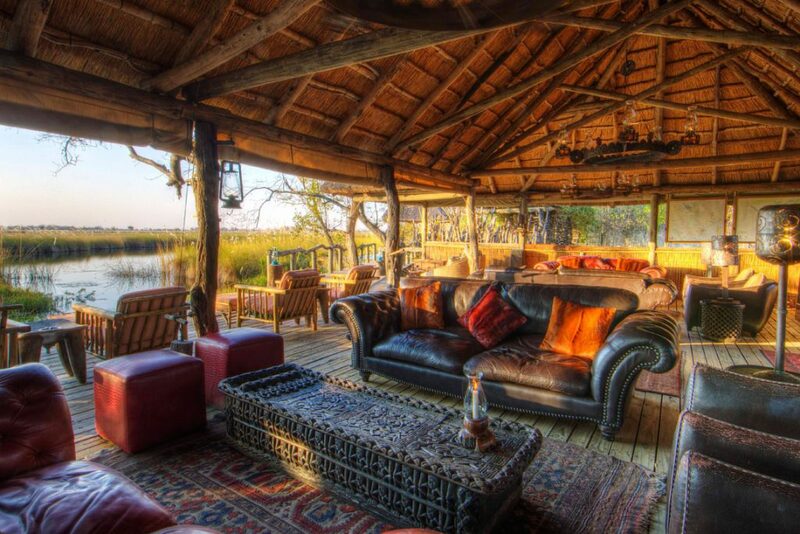 The fire-deck extends over the Khwai River and creates an enchanting environment in which to relax after dinner. 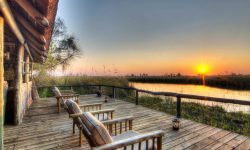 There is also a larger pool with elevated sun deck in the expansive grounds.